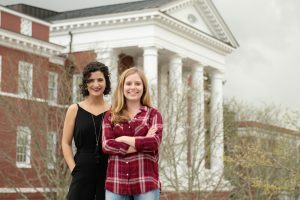 Passion Points to the Perfect Profession Hannah Denham '20 has combined business journalism with women and gender studies at W&L to create a liberal arts education that suits her interests and ambition. What factors led you to choose W&L? I knew I wanted to get out of Alabama, but wasn’t sure exactly what I was looking for. W&L was the only liberal arts school I considered. I thought that I wanted to just be a face in a crowd at a large state school. I found out about W&L through an email my dad forwarded me about the Johnson Program. I did more research, applied and ended up visiting the weekend after I found out I was a Johnson finalist. Everywhere I went on campus, people congratulated me. Melissa Cox in the journalism department gave my dad and me a personal tour of Reid Hall. Professor Pam Luecke sat down with us to talk about my career aspirations. I knew that there was something distinguishable here. I came back a month later for Johnson weekend, and afterward was offered the scholarship. 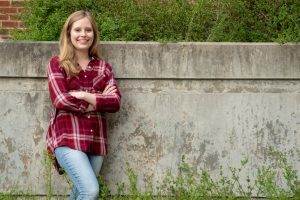 W&L very quickly became my first choice – the location is beautiful, the small class sizes and close relationships with professors is unmatched, and I have so many different interests that I knew I needed a liberal arts education that would allow me the flexibility and resources to pursue them. And I didn’t even know it at the time, but W&L is the only liberal arts university in the country that has an accredited journalism program. Somehow, I landed in a perfect fit, even when I didn’t really know what I wanted – and I’ve found that to continue to be true about my experience here. What made you decide to major in journalism and minor in WGSS? How do they work together? From the age of three to the summer before my senior year in high school, I thought I was destined to be an OB-GYN. But one day it hit me that all of the things I was involved in and was passionate about pointed me in the direction of journalism. Looking back, I think that I had my mind set on pursuing a career in women’s healthcare because a) I could help people, specifically women, and b) I had always told myself that’s what I wanted to do. But I realized that I could do all of those things through journalism, and feel fulfilled and passionate all while doing it. That’s why the major and minor were the perfect combination for me. Hannah Denham ’20 interviews Kelsey Goodwin, director of student activities, about a game night at Lee House sponsored by The Hub. 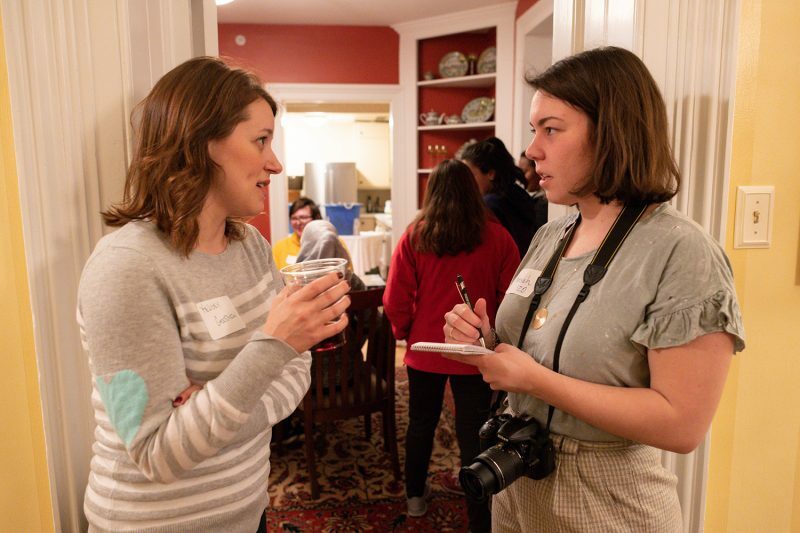 How have you been able to practice journalism during your time at W&L, whether during the academic year or during summer breaks? I started writing for the Ring-tum Phi my freshman year and I’m now the editor for the Arts & Life section. For my journalism classes I’ve reported and run social media platforms for the Rockbridge Report. I took Professor Kevin Finch’s cross-cultural documentary filmmaking course for Spring Term during my freshman year and worked with two other students on a 10-minute film about history tourism in Lexington. For Spring Term my sophomore year, I took Professor Stephanie Sandberg’s film class in Ghana, in which I worked with a group of students alongside a local, grassroots nonprofit in Kumasi to write, film and produce a documentary for them to use for fundraising and spreading awareness about child trafficking. This Spring Term I’ll be doing Washington Term in D.C., during which I’ll intern with NBC News. As for the summers, after my freshman year I spent a month in Vietnam with another student, Trang Duong. We interviewed more than 20 people about their thoughts and experiences of marriage expectations and gender roles for our 25-minute documentary, “How to Not Put a Ring on a Ticking Time Bomb.” This past summer I had an internship with the Tampa Bay Times as a business reporter. And this upcoming summer, I’ll be interning with the Washington Post, also as a business reporter. Hannah Denham ’20 with Trang Duong ’20 in Vietnam, where they completed a summer project about marriage in modern Vietnamese society. How did those opportunities impact you and your future career path? These experiences have only complicated my concept of my future career path, because they’ve opened the world to me to all the paths I could take within journalism. But they’ve all taught me how to ask good questions and find the answers, one way or another. What I’ve discovered as a student at W&L is that I’m most passionate about pursuing underreported stories or amplifying voices and perspectives that aren’t traditional or are often overlooked. On campus, I’ve been working on an investigative series for the Ring-Tum Phi that seeks to challenge the traditional idea of a W&L student and highlight experiences on campus that have been marginalized. The first story my freshman year was “The Undocumented General” on current students and alumni that have DACA status. Last year, I wrote “The Hungry General,” about students’ experiences with food insecurity on campus and what students and administrators are doing to address it. I’m currently working on “The LGBTQ Generals,” about the experiences of LGBTQ students in the social scene on campus. 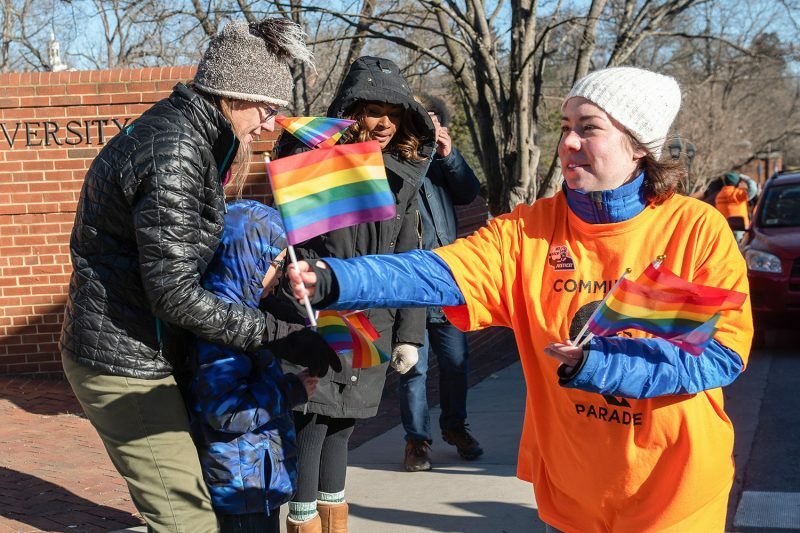 Hannah Denham ’20 hands out rainbow flags during the 2019 MLK Community Parade in downtown Lexington. Her orange t-shirt identifies her as one of the parade marshals. You’re involved in lots of extracurricular activities. How have those been meaningful? I’m a Bonner Scholar and a Volunteer Venture leader, as well as the new overall coordinator for the program, and I feel like these two are significant in that they feel less like an extracurricular or a club. It’s more like a partnership with other students and the Shepherd Program staff to shape our campus and community into the diverse and inclusive place I so strongly believe it should be. I feel this way about Amnesty International, as well. All three of these groups provided a home base for me my freshman year and have grown into pockets of friends that feel like family that I have on campus. Has anyone on campus served as a mentor to you? Absolutely, there are many. I had no prior interest in business news prior to one day in January of this year, when Professor Alecia Swasy pulled me aside after beat reporting class and said, “Hey. I have an opportunity for you. Let’s talk.” I met with her the next day and she explained to me the Reynolds program and her take on business news – as the intersection of money and politics. She said that she could see I had a real knack for reporting, a fire in my belly. “Someone gave a sh*t about me once,” she said, “so I figured it’s my turn.” We met once a week for the rest of the semester to talk about where I’d be interested in interning, worked on my resume, clips and applications, and went over a crash course version of business reporting. She offered a few places to start submitting applications and her recommendation, and my first choice was the Tampa Bay Times. So I applied. I found out on February 14 that I got the internship. Without her investing in me, I wouldn’t have had the tools or even the interest to pursue business reporting, and I’m so grateful I did. What would you say to a prospective W&L student who is deciding whether to apply or attend here? As a student here, I’ve learned that it’s necessary to both know who you are and stick to that while also keeping an open mind about ways you can grow if you want to make the most out of your opportunities here. This applies academically, socially and personally. I think the people here on campus that I look up to the most seek this balance. Napa Thai, hands down. I try to switch it up between chicken pad Thai and drunken noodles. “The Defiant Ones.” It’s an HBO documentary that follows the lives and careers of Dr. Dre and Jimmy Iovine. The film follows how the two music icons eventually merge from what begins as a producer-artist relationship and grows to become a business partnership to make one of the biggest music deals in history, Beats Electronics under Apple, Inc. The story is fascinating, the soundtrack continues to shape my playlists months after watching it, and it’s also a testament to the fact that everything is a business story. I’d like to work for a newspaper in a medium- to large-sized metro area. My dream job is to one day be an immigration reporter, with the ability to incorporate multimedia elements.